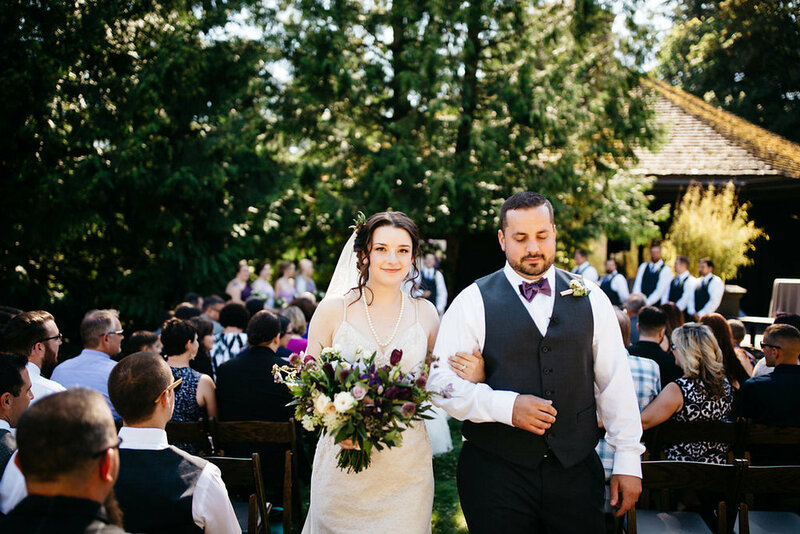 When I met Megan + Thomas, I knew their wedding would be beautiful, unique and so fun to be a part of! The two of them met online and continued to date long distance. 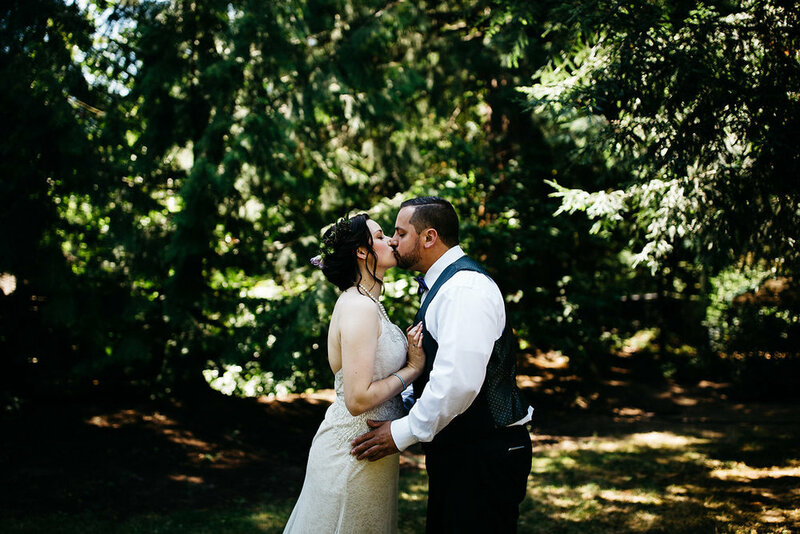 They chose The World Forestry Center – Miller Hall as their venue- the perfect mix of rustic and woodsy and architectural accents. 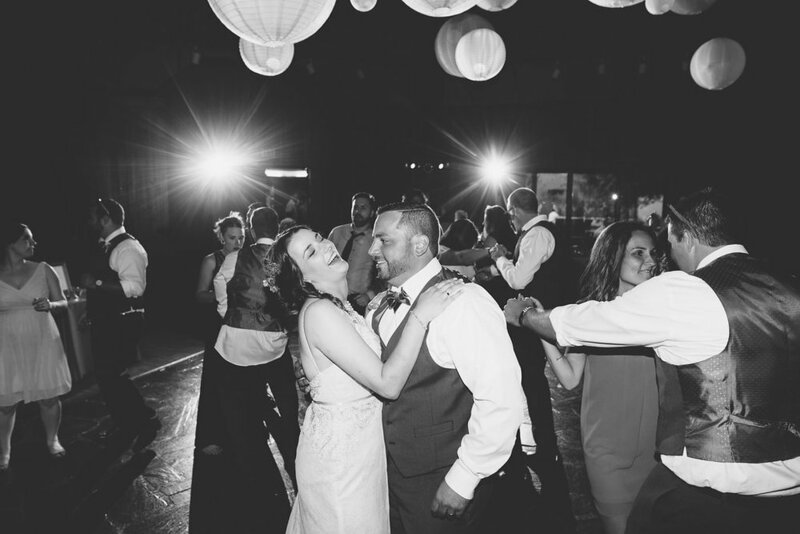 We met to talk about their wedding and I loved hearing about the fun, personal details they wanted to incorporate into their big day. 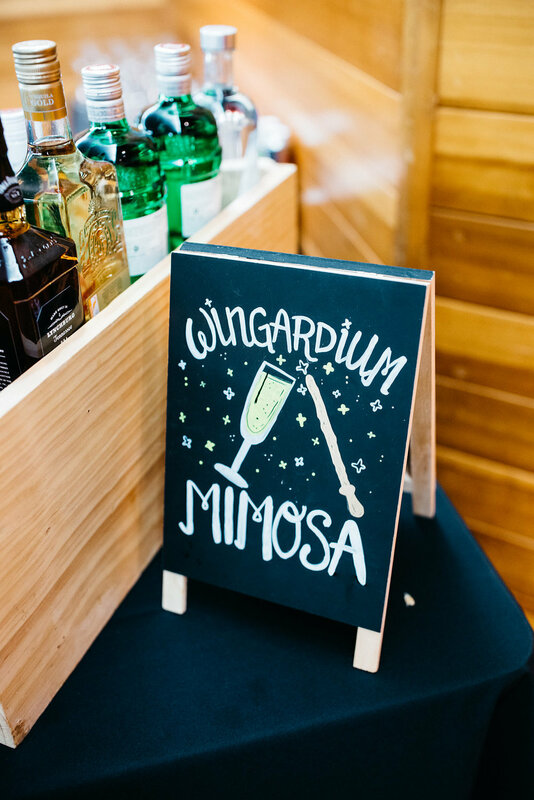 From the way they incorporated a Harry Potter theme, to the hanging lanterns, lush flowers and a dessert table full of delicious desserts made by the bride – a pastry chef! 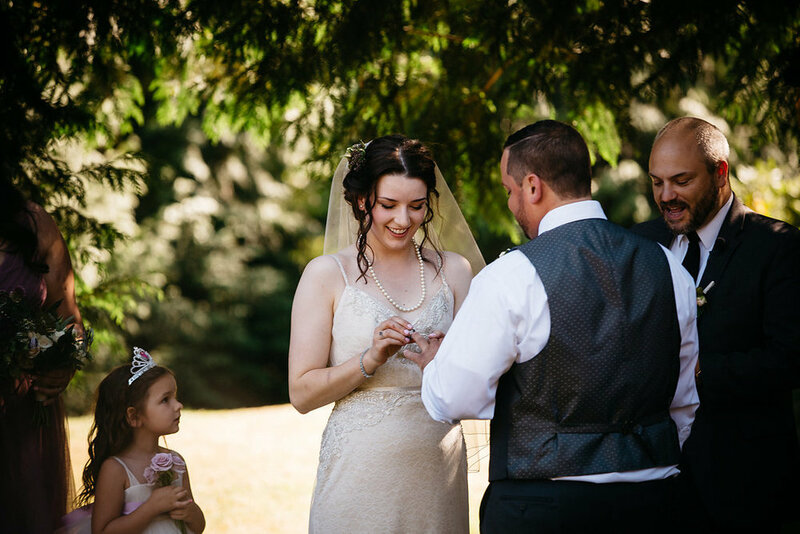 Every detail of their wedding was a perfect fit. Congratulations to this wonderful couple!